Financial Services (FinServ) companies face many data management-related challenges. Customers are demanding faster access to their information, but they also want to keep their data safely out of reach of hackers. Trades need to happen extremely quickly to capitalize on rapidly-changing market conditions, yet government agencies insist on an extremely accurate and thorough accounting of all activities, which can slow down trading systems and threaten profits. Financial services IT environments have been fine-tuned over many years to provide a good balance between speed and accuracy, but a drive to reduce costs has many FinServ companies considering getting rid of their data centers and moving operations to the cloud. Financial organizations with broker/trader operations managing high volumes of financial transactions need to monitor, record, log and index transactions to comply with regulations and maintain an accurate view of transaction history. Two problems common to these organizations are requesting history replay and state recovery, both of which are necessary to maintain accurate records and avoid hefty regulatory fines. Financial transactions stream into the organization at high volumes and each needs to be verified and documented. The challenge is to capture, copy and index traffic as it enters the system, confirm all trades are fulfilled in the order in which they are placed, and ensure any transaction data entering the system can be easily referenced by all platforms in the organization. Broker/trader operations can use VoltDB as the recovery platform for all transactions received within the organization. VoltDB can be used to record order execution history and to recover state in the event of an application restart. Unlike traditional RDBMSs, each VoltDB execution engine is single-threaded and contains a queue of transaction requests, which it executes sequentially—and exclusively—against its data. Elimination of stalls and associated locking and latching overhead allows VoltDB write operations to complete in milliseconds. VoltDB provides execution correctness and trade verification for broker/trader operations in financial organizations, a result not possible with NoSQL solutions, which cannot guarantee transactional correctness. VoltDB can also be used to search for historical transactions to verify activity and can publish messages directly from the database using a third-party connector to any other platform in the organization. Large multinational banks are targets for many kinds of fraud. Chief among these is transaction fraud, in which a fraudster steals someone’s credit card number or credentials and attempts to charge goods and services illegally. For banks to protect their customers and contain losses associated with fraud, it’s necessary to monitor each card swipe, detect unusual or fraudulent activity, and make an immediate decision to allow a purchase to go through – or to block it as fraudulent. Detecting fraudulent credit card swipes before a charge is allowed to go through requires moving the fraud detection process from a post-facto, batch decision to a real-time, in-transaction decision, a decision that can be made before the card swipe is authorized. Latency is a major challenge, though — consumers will tolerate a few seconds’ delay at most before reaching for a different card, and a lot has to happen in those few seconds — so the fraud detection process itself must be completed in milliseconds. The option of relying on a third-party fraud detection tool to uncover fraudulent transactions can place an organization at risk of monetary loss. Banks need an accurate and trusted solution, one that can ingest card swipe data, analyze it against a sophisticated, continuously evolving fraud model, and make a validity decision in milliseconds. VoltDB is used to apply bank business rules to a stream of card swipes, hundreds to thousands of times per second. Using stored procedures to manage the analytic logic, paired with state held in VoltDB, banks increase their ability to detect fraudulent cards on the first swipe. As blacklists and rules change, these are uploaded into VoltDB, where the new rules and stored procedures immediately affect card processing decisions. Banks using VoltDB are able to reduce fraud risk significantly, increasing their ability to detect fraudulent activity before multiple card swipes occur. NBBO is the National Best Bid and Offer, defined as the lowest available ask price and highest available bid price across participating markets for a given security. Brokers must route trade orders to the market with the best price, and by law must guarantee customers the best available price. Brokers must be able to provide evidence of compliance with NBBO or risk censure from the SEC. Tracking current NBBO prices of securities, or providing access to the history of NBBO changes on demand to consumers (dashboards or other applications), is challenging with legacy RDBMSs. 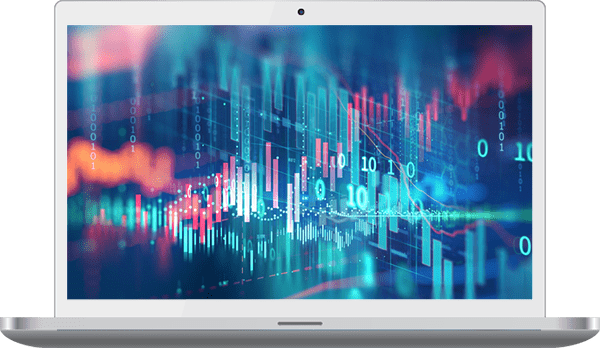 Legacy offerings do not have the scale, speed and flexibility to ingest vast streams of trading data, analyze the data in real-time for pricing changes, and recommend an action – all within milliseconds. VoltDB can be used to store each market data tick and automatically insert a new NBBO record whenever there is a change to the best available bid or ask price. By maintaining the current NBBO and NBBO history in real-time, broker/trader applications can track routing compliance and slippage in real-time, identifying systemic problems before they create large costs for the institution. VoltDB meets the NBBO requirements of broker/trader operations by maintaining real-time, fast-changing calculations and enabling real-time compliance tracking and risk management.